How to Spend Less on the Holidays This Year? 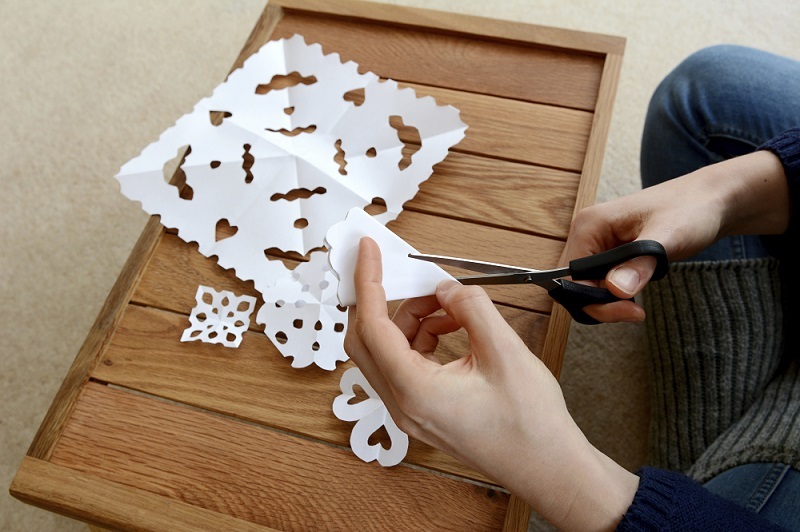 Another way you can spend less on the holidays is by making your own decorations! Whether you are celebrating the eight nights of Hanukkah with your family or hosting Christmas with your friends, the holidays are the time of year for celebrations. But this can also be the time of year when people overspend on their friends and family. If you are wondering how you can pay all of your bills while still giving gifts to all of your loved ones, this post is for you. Let’s take a look at five ways you can spend less on the holidays this year. Instead of buying a gift for everyone in your group or family, why not suggest a gift exchange? Whether you do a Secret-Santa style exchange, where you buy for a single person, or you make a game out of it, where everyone buys one gift and you pick one during the party, this is a fun time for everyone and can be inexpensive. Put together a short list of people you must give gifts to. These lists could include your parents and siblings, close work colleagues, best friends, and relatives under the age of 12. Scaling back can help eliminate some of the financial burden and responsibilities. Whether you decide to put together a photo collage from across the years or make some homemade fudge or cookies, making or baking something from the heart is a great way to save money while gifting. Everyone loves cookies or candies in a little tin, so why not take the time and effort to make a gift you don’t have to spend a ton of money on? Instead of giving someone a gift, why not give them some of your time instead? Find out what project the person is working on and offer to help. Whether your Grandma needs help around the house or errands run or your little sister needs help for a craft project, making time is always a great idea for your friends and family. If you have the gift of writing or a good memory, why not share that story with someone on your gift list? Instead of buying a gift, pick out a beautiful Christmas card and write down one of your family memories on it. Not only will this be something they can treasure for years to come, it can also be a great tradition for the entire family. This holiday season doesn’t have to be filled with stress and worry over money, give something from the heart instead with these inexpensive ones. For more help coping with the holiday spending, check back for our weekly blogs! This entry was posted on Friday, November 11th, 2016	at 8:17 pm	. Both comments and pings are currently closed.